Anyone who’s been listening to rock radio or frequenting Top 40 nightclubs in the last couple of years has heard these lines. With the same hypnotic effect as their 1974 hit “Radar Love”, “Twilight Zone” brought Golden Earring back into the spotlight of commercial rock, and an eight-minute version of the song helped to make the LP Cut a near-platinum record in Canada. When singer Barry Hay, guitarist George Kooymans, bassist-keyboardist Rinus Gerritsen, and drummer Cesar Zuiderwijk play the UBC SUB Ballroom tomorrow (Saturday) night, it will be in support of the Dutch quartet’s latest release N.E.W.S., which has already spawned the single “When the Lady Smiles”. Last Friday vocalist Hay phoned the Straight from L.A., where the band was touring with Florida rockers .38 Special. 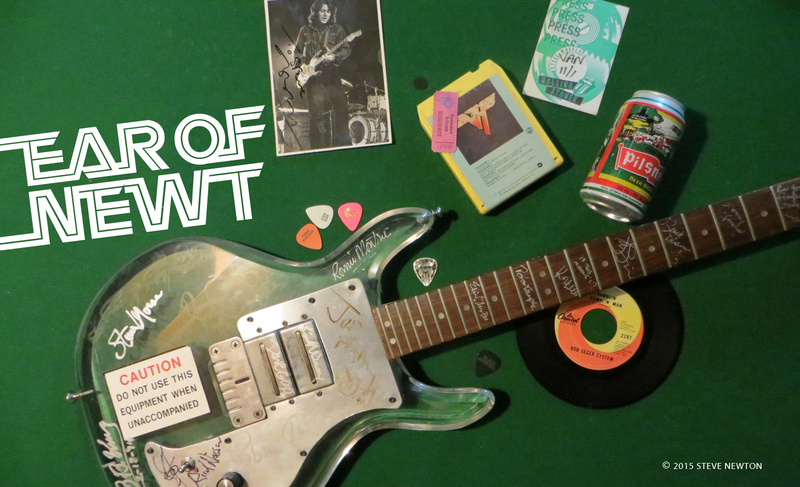 He talked about Twilight Zone–song and video–and shared a few remembrances of old days touring with the Who and Lynyrd Skynyrd. 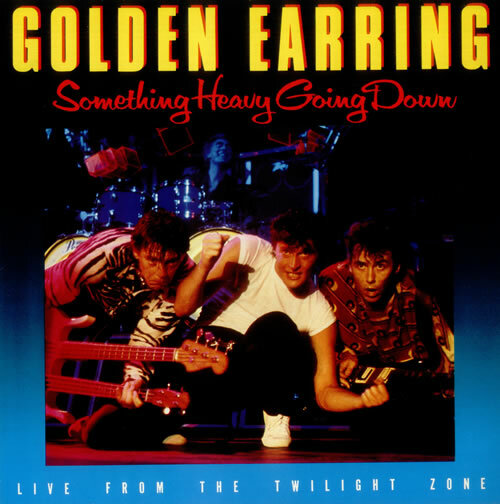 It was ten years ago that Golden Earring first hit it big in North America with “Radar Love”, and then two years ago with “Twilight Zone”. Was it hard to keep the band together during that eight year stretch between hits? Not really. We’re real pals; we’re just stuck with each other. And we were touring and everything. As a matter of fact, the band is now more together than ever. You went into a bit of a jazzy/progressive vein for a while there didn’t you? Yeah. Robert Jan Stips had a lot to do with that. He’s a jazz player, a keyboardist. These guest musicians, they had their little finger in the pie, you know. And I think it was interesting for our career. Nothing happened money-wise, but it sure was good experience. It got us where we are now. When you finished recording “Twilight Zone” did you have the feeling that it would be a hit? I knew it was going to be a hit the moment I heard it. And I’m saying this because it’s the truth. Usually I’m not really sure about those things, but when George [guitarist George Kooymans] played it I knew it right away. Along with Billy Idol’s “White Wedding”, “Twilight Zone” must be one of the most covered Top 40 tunes in Vancouver’s rock clubs. Yeah, bands are always playing it. Wow. I’d love to see bands pick up on that. Do you know whether bands play it at the clubs in Holland? No, there’s hardly any bands that I know of in Holland that cover. Everybody’s trying to do their original stuff. We don’t have that club circuit where bands to Top 40 stuff. What’s the music scene like in Holland these days? It’s not really happening at all. I mean, it’s a small country. I’m pissed off that there’s hardly any competition at the moment. There was a band called Doenaar that was singing in Dutch. They were very, very successful, and they broke up and started a sort of Dutch wave scene. But that really didn’t tickle my palate, if you know what I mean, because basically we’re rock and rollers, and that was reggae music. Now that’s all over, and I’m sitting back and waiting for a young, fresh band to jump out of Holland and do something. But I’m afraid it’s not gonna happen. I think it’s all up to us [laughs]. Getting back to “Twilight Zone” for a minute. Was that title inspired by the TV series with Rod Serling? Yeah, we ripped it off. And on the new album we have a song called “Mission Impossible”. I understand you toured Europe and North America with the Who during the early seventies, around the time of Who’s Next and Quadrophenia. Were they–and Keith Moon in particular–really as wild on the road as legend has it? Yeah, they were pretty wild. Especially Moon. Townshend is anti-social, and Daltrey and Entwistle are just good blokes, you know. Moon was extremely social; a crazy and wonderful guy. Only the good die young. Another band that you’ve toured with–which also had a tragic end–was Lynyrd Skynyrd. We were on the road with them for a long time. We had a bus, and we toured England with them. I was real good buddies with Ronnie Van Zant. We got beat up together. You got beat up together? How did that happen? Well, we were drunk in a club, and we thought that the audience wasn’t really reacting to the band that was playing. We thought it was a great band. It wasn’t, of course. We started hassling and harassing people [breaks up] and telling them to clap and applaud. And then we got beat up by the bouncers. We ended up in the Liverpool rain, bleeding and black-eyed and just laughing our asses off. Wasn’t that a strange pairing, southern boogie with European hard-rock? Well, I like to consider Golden Earring as a boogie band too, you know. It’s funny. At first I thought the combination was not going to work, but it does. Like the people that come out to see .38 Special, you can easily say that they love us. So we don’t have any problem in that department. Golden Earring did play at the SUB Ballroom because of low ticket sales. I was at that concert and it was superb! Also, they had a bar there, so you could also drink, which made it better. The sound was way better than the gym also. 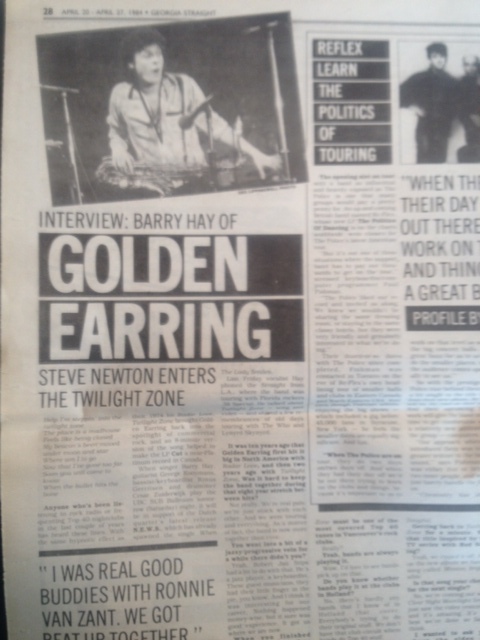 I first got into Golden Earring in ’65 (they were the Golden Earrings back then, and had formed in ’62). I caught them at Leeds Uni in England on their ‘Radar Love’ tour and they were very good – they had their own thing happening, which is something they’ve alway had happening – their own thing. I’ve had albums and DVDs over the years, watch them often on Youtube etc. You know, in 2017 they are still going strong in their part of the world (the Netherlands). The latest album, The Hague (the band is from Den Haag – The Hague) has only about half a dozen tunes but is great – real Earring stuff…and this is 55 years after the band formed.